Back in 2002 a film called Spider-Man, the first in a trilogy by director Sam Raimi, was released - and people all around the world fell in love with the comic book adventures of Peter Parker. Now just 10 years on (only 5 years after the release of nail-in-the-coffin film Spider-Man 3), new director Mark Webb (the man with the perfect name for the job!) 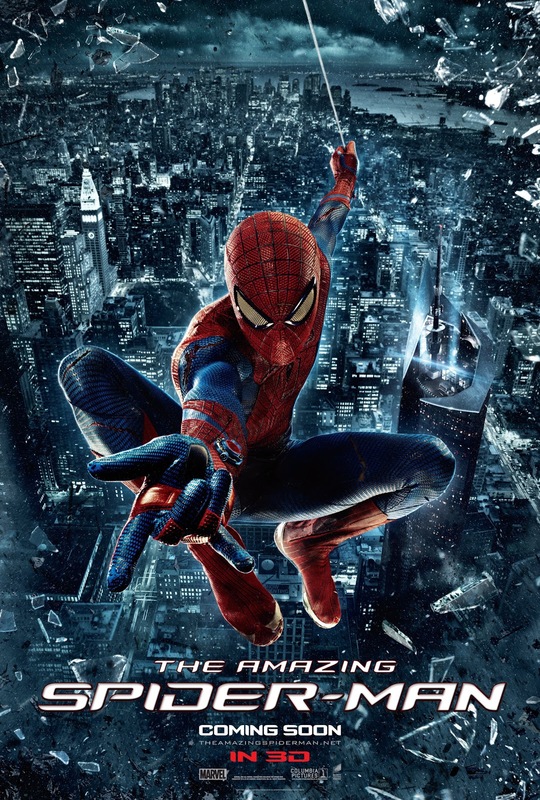 has taken the franchise back to square one with his reboot: The Amazing Spider-Man. Life isn't easy for Peter Parker (Andrew Garfield), an ordinary high school boy who struggles to come to terms with the mystery of what happened to his parents who left him with his Aunt May (Sally Field) and Uncle Ben (Martin Sheen) when he was a child. However being at the bottom of the school food chain is about to change for Parker after a bite from a genetically enhanced spider leaves him with superhuman abilities and his iconic Spidey-Senses. 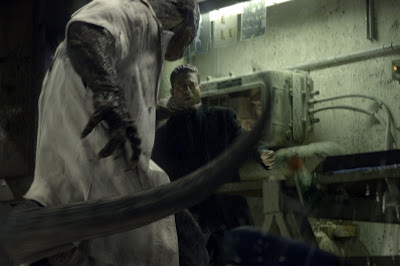 As a series of events unfold, Peter soon develops a vigilante alter-ego named Spider-Man - who is quickly thrown into the deep end as the villainous Lizard (Rhys Ifans) threatens the lives of those living in New York City. So let's start with the elephant in the room then; the previous trilogy. There was a lot of initial concern from a lot of people when Sony announced that they were going to completely reboot the franchise just after the release of the 3rd film 5 years ago, with a lot of people confused as to why there is a need for this considering that the world of the original films had only just been established. If anyone still has any doubts over this move - do not worry! Whilst the Raimi directed films did have their success and were good on many levels (except Spider-Man 3, let's not bring that up...), for use of a better analogy on top of each cracker was a slice of cheese; whether it's from some of the films' dialogue, the overly comic book vibe that has now post Christopher Nolan's Batman films (the third of which, The Dark Knight Rises, is released next month) been significantly toned down for a grittier and more realistic approach, the rushed feel of certain plots and sub-plots or the entirety of Spider-Man 3; it seems that in hindsight certain elements of the films haven't aged well - albeit I do feel this is in many respects a result of how the genre has evolved over the last 10 years and not entirely a fault to the films themselves. However if you remove the cheese, you're left with a cracker (yeah I'm gonna stick with this cheesy analogy! ), and that's what you get with The Amazing Spider-Man. In comparison to the original trilogy, The Amazing Spider-Man is a completely different film, in almost every way. Whilst it does share a few story elements, everything from the style, tone, characters, setting and the events is done in a completely different way, so even though this is an origin story in the same way that Spider-Man was, it is different enough that you're not seeing the same film twice. Returning to my man-love for Christopher Nolan and his Batman films, it is clear in many ways how this film has been influenced by these game changing films. The style of the film has gone for a far more realistic approach in The Amazing Spider-Man, with the likes of Spider-Man's web coming from a mechanical device attached to each wrist and not just naturally, amongst other things. The biggest influence however is within Garfield's performance and character. By rooting his character entirely in the high school environment, the film takes a much slower approach in following, developing and evolving his character much in the same way as Nolan does in Batman Begins. In some ways this does make the film feel quite long at the start, but as a result you get a much clearer understanding and appreciation from his character as a result - whilst the Raimi films rushed through a lot far too quickly. As a result Peter Parker is now a far more relatable and down-to-Earth character whom with his great dialogue and whip-sharp wit provides a much more modern and humorous character - the perfect addition to the Avengers Assemble sequel if they could ever sort out the legalities with Sony. This is further continued within his relationship with love interest Gwen Stacy, who played by Emma Stone is the perfect equal to Garfield, resulting in a much more interesting and deeper relationship than that of Toby Maguire and Kirsten Dunst's Mary Jane. In fact the emphasis on relationships is also a big theme in the film, and this paired with character development actually come above the film's action and becomes it's saving grace. This comes as a result of the new direction that Mark Webb brings to the table. Having previously directed 500 Days of Summer, Webb's style is definitely present in The Amazing Spider-Man. In fact, for a lot of the film, in particular during the high school scenes, the films feels very much like an indie film in many respects, which only helps to show the characters in a modern light - proving that Webb understands the real world for modern youths. Whilst this style is a fresh, bold and unique change to not only the Spidey franchise but the comic book superhero genre as a whole, there is something about it that may take a bit of time to get used to - be it due to it's radical change in style or to the fact that the Raimi films only ended 5 years ago, and are still fresh in our minds. Of course this is also a summer blockbuster, and the action and laughs come thick and fast too, often hand in hand and working very well. This is especially prominent within the scenes featuring Garfield's character trying to come to grips with his new found powers, where a lot of laughs are to be had thanks to Garfield's fantastic performance. One of the biggest laughs however comes from the now expected cameo of Marvel's Stan Lee, whose moment in this film outshines all of his other cameos to date. Naturally most of the action comes from Rhys Ifan's Lizard character, the intentions of whom are not quite your standard money or power incentives that a lot of Hollywood villains long for, as Ifan's performance brings a element of humanity to a character who is mostly inhuman by the end - resulting in a villain figure that really works. It is within all of this that the film really shines - it's the way that it balances the fantastic action and laugh out loud humour that mainstream audiences want and expect, with the character development, relationships and emotions that make it a deeper film and a memorable experience. With deeper character development, a more modern and realistic style and approach, sharper dialogue, and most importantly a lot less cheese, The Amazing Spider-Man is a big improvement on the original films and one much stronger and more in line with the comic book films of today. With excellent performances by Andrew Garfield and Emma Stone who continue to prove themselves to be two of the hottest stars for a new generation, and not forgetting Rhys Ifans who brings both humanity and inhumanity to the Lizard role, the film is brought to life by a great acting cast. Director Mark Webb and Sony made a brave move in rebooting the Spider-Man franchise is such a different and stand out stylistic way, and it's certainly paid off, even if the ghosts of the Raimi era are still fresh in our memories. This is not just a film about action, it's about characters and relationships, and that's where Spidey's strength truly lies. With a series of unanswered questions left at the end of the film (don't leave as soon as the credits start...) and the next film already announced for a 2014 release, we've not seen the last of Spider-Man, and it sure is good to have him back! 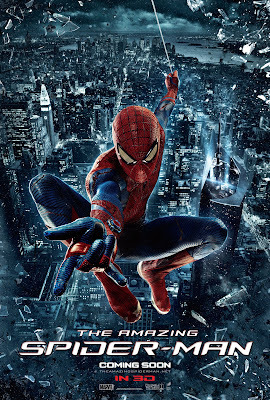 The Amazing Spider-Man is released in cinemas across the UK on July 3rd 2012. Are you looking forward to the Spidey Reboot? If you've seen it what did you think? Leave your comments below!